Weak economic data from Europe and the US sparked a sharp decline in oil prices and resulted in a sea of red across global equities. Brent crude oil dropped 2.2% to $66.39 per barrel and copper cheapened 2.2% to $2.84 per pound. The FTSE 100 fell 2% to 7,207, which was not helped by a stronger pound. In the US, the Dow Jones declined 1.6% to 25,534 by around 4:45pm UK time. Shares in department store Debenhams fell over two-fifths to 1.5p, having earlier endured heavier losses, as it announced a debt restructuring plan which could effectively wipe out shareholders. Industrial technology company Smiths Group gave up earlier gains to trade 0.9% lower as it booked a 13% fall in first-half profit and revealed plans to spin off its under-performing medical business into a separately-listed company. 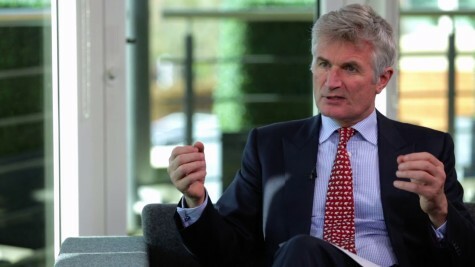 Royal Mail shed 3.5% to 240.3p after announcing that it had appointed its current deputy chairman Keith Williams to the chairman's role after considering internal and external candidates. Shares in tour operator Thomas Cook dropped 2.4% to 27.9p after announcing several store closures and staff cuts. Thomas Cook also revealed it has expanded its presence in Russia via a new joint venture. EasyJet fell 1.7% to £11.55 despite stating that it may have to force non-EU investors to sell their shares in the company in the event of a no-deal Brexit, to ensure EU nationals had a minimum 50% stake. Component system manufacturer Senior dipped 1% on revealing that its aerospace division had been selected by Saab to supply components for the Boeing T-X advanced pilot training system. Fund administration services provider Sanne gained 3.6% to 522p after it posted a 5.8% rise in annual profit, driven by strong sales growth in the US and Europe. Oxford Instruments won a global tender to supply its cryogenic equipment to the Institute of Physics-Chinese Academy of Sciences. Its shares retreated 1% to £10.10. Construction company Henry Boot was flat at 260p, even as it posted a small fall in profit and warned 2019 would be challenging due to Brexit. Packaging group Robinson jumped 9.6% to 72.3p despite it only posting a modest annual profit, as it forecast higher margins in 2019. Solo Oil dropped 6.9% to 1.2p after it announced it was targeting acquisitions in Europe and North Africa to meet a new production target of at least 5,000 barrels of oil per day within the next three years.